Core De Force | Country Heat | What is a Beachbody Coach | Where To Buy Shakeology | 21 Day Fix: August Promotions Coming to an End! August Promotions Coming to an End! Time is always a factor when it comes to exercising. It was for me too! Did you know that a one hour workout is 4% of your day? Just think if your workout was less than an hour! Can you spare less than 4% of your day to getting healthy? Beachbody has some GREAT sales going on for 2 MORE DAYS!!! All 3 of the workouts listed below are an hour or less! In fact, T25 consists of ALL 25 MINUTE WORKOUTS! I am currently doing Turbo Fire, which I LOVE, and there are even 10, 15, and 20 minute workouts! Afraid that’s too short and you won’t get results? 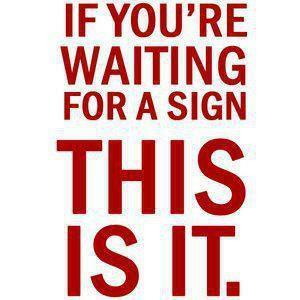 Trust me…you will! Why buy a challenge pack? 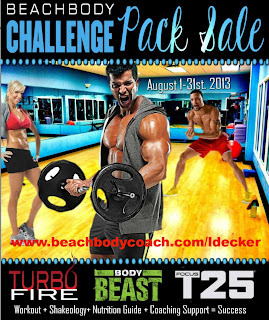 Because challenge packs off the "complete solution" of Fitness + Nutrition + Support + Rewards = Success! 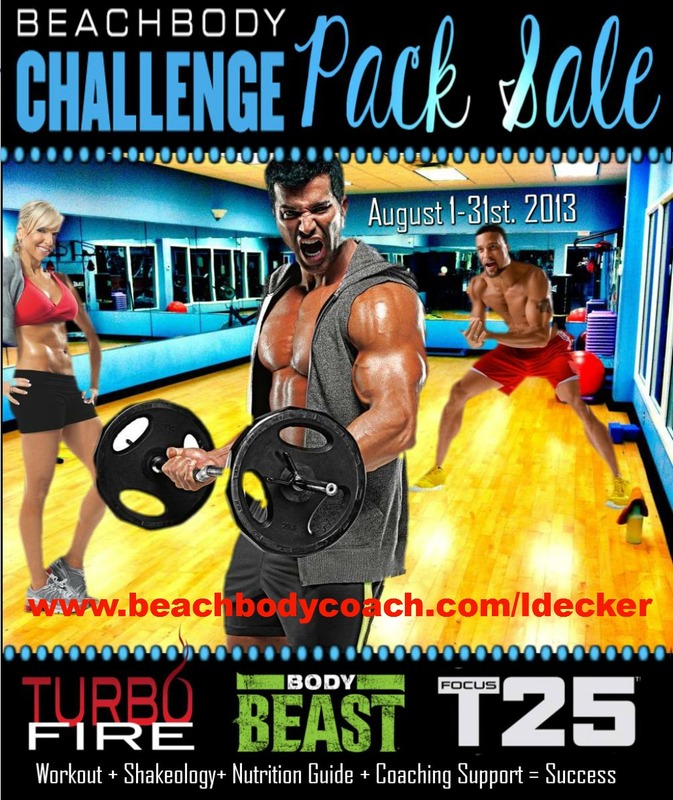 You can’t get all that at the local gym for the cost of one of our Challenge Packs! There's even an added bonus of a free 30 day trial Club Membership where you will have access to a wide range of support including customized meal plans! Oh yea, and FREE SHIPPING! Message or email me at lisamariedecker@yahoo.com for details!